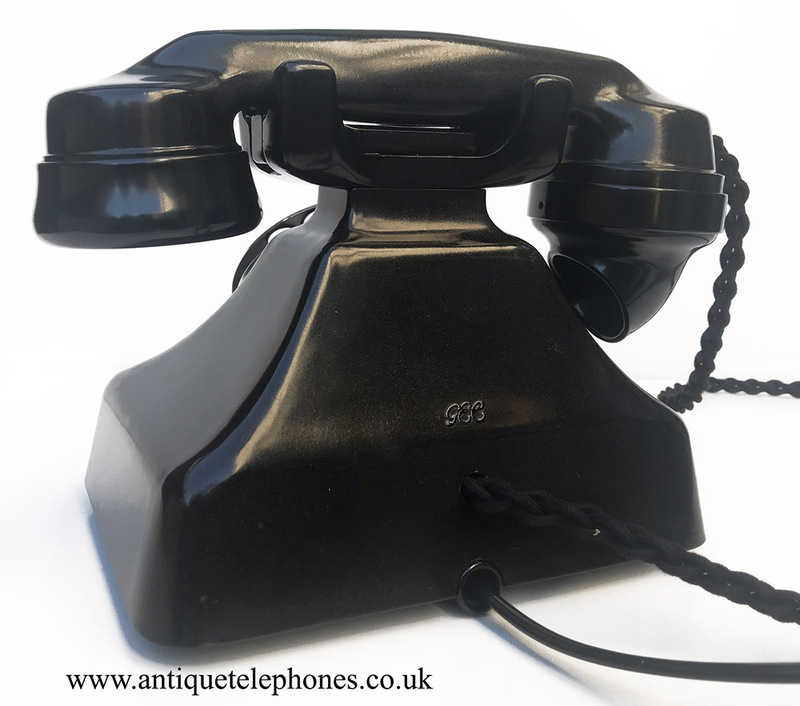 Black GEC GECoPHONE Bakelite telephone. 1940. 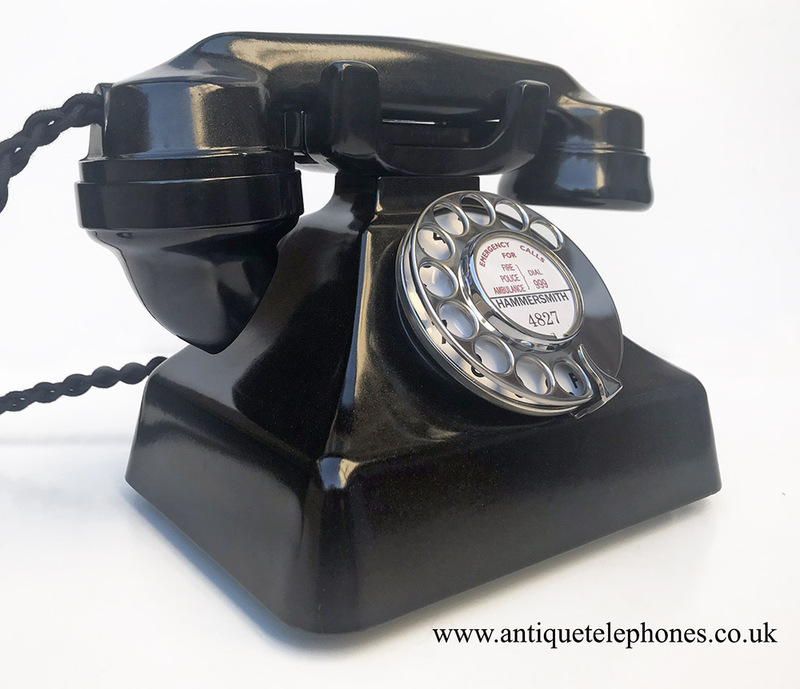 << Back Black GEC GECoPHONE Bakelite telephone. 1940. This was made by GEC and as you can see beautiful design. This is fitted with a pulse to tone unit and will work on any telephone network including Voip systems. Nice example of a GEC Bakelite model. 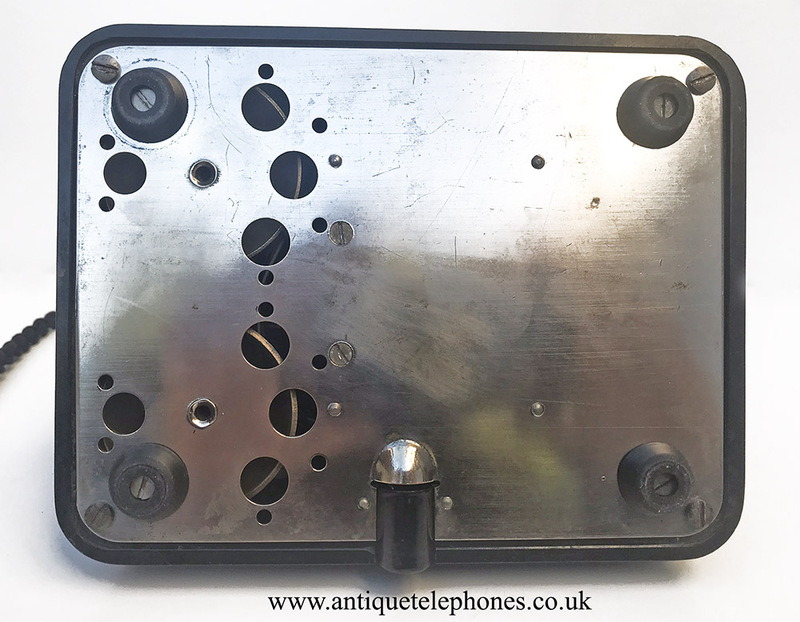 As you can see this is a wonderful telephone made by GEC. This is a very solid and beautiful design and has two bells of different tones inside giving a lovely ring. It has been totally stripped down and rebuilt after each part has been cleaned and polished. It has a double gong mechanical ringer producing a lovely ring tone. It can be dated form the internal ring capacitor dated 1940 and so this was in use through world war 2 The dial is a GPO No 12 with enamel figure only dial face. 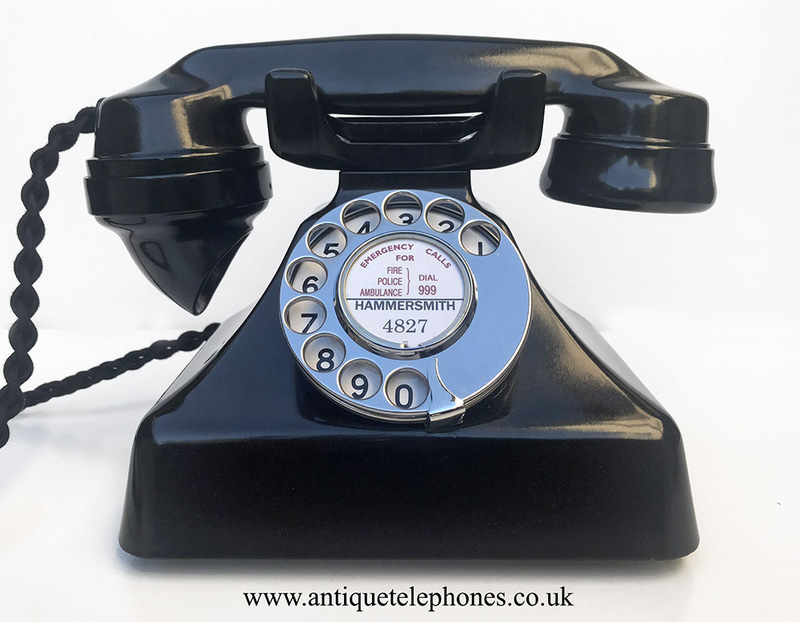 This is a wonderful telephone and has been fitted with an electronic microphone and a very best quality black hand plaited all British manufactured braided handset cord and a quality D shaped plastic line in cord made by me. It is fully converted and set up to work using a special line simulator and then tested on my own BT line to ensure it is working perfectly. This is fitted with a pulse to tone unit and will work on any telephone network including Voip systems. 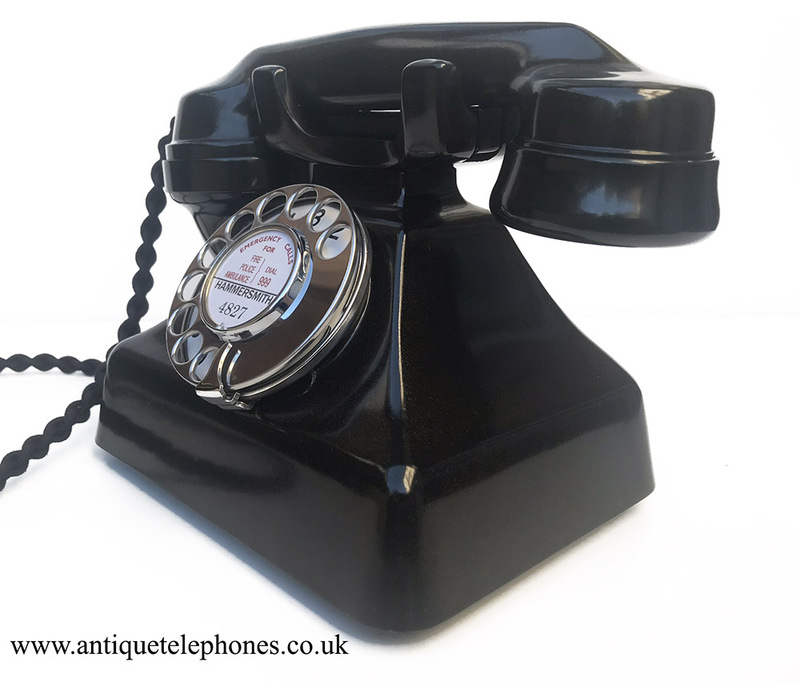 I can make a dial label with your information at no extra charge on this GEC format or the standard GPO. Please tell me in check out instructions what you want.